OAKLAND, Calif. (KGO) -- A Hawaiian Airlines Maui bound flight was brought back to the gate at Oakland International Airport after it had alredy begun taxiing due to a photo airdrop mishap. 15 passengers received a photo they thought was a threat. It turns out the photo wasn't real. Hawaiian Airlines Flight 23 was supposed to take off at 7 a.m. but was delayed nearly an hour and a half after 15 passengers received a picture of a mock crime scene with a nylon bean bag type mannequin. "Passengers viewed that picture, believed that picture was threatening, alerted the flight crew who in turn notified the pilot," said Sgt. Ray Kelly with the Alameda County Sheriff's Office. The Alameda County Sheriff's Office says the airline called them in to investigate the potential security threat. 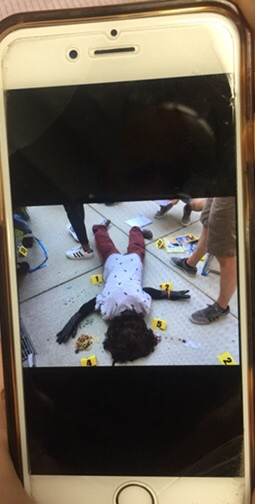 "We quickly deciphered that this incident was a 15-year-old girl that was trying to air drop a mock crime scene photo to her mother," said Kelly. The 15-year-old was using air drop via blue tooth. Sgt. Kelly says based on her phone settings people within range of her phone had the option of accepting and viewing the photo as well. "The young girl was very embarrassed. She was upset, we explained to her she was not in trouble, there was no crime that was committed here," said Kelly. 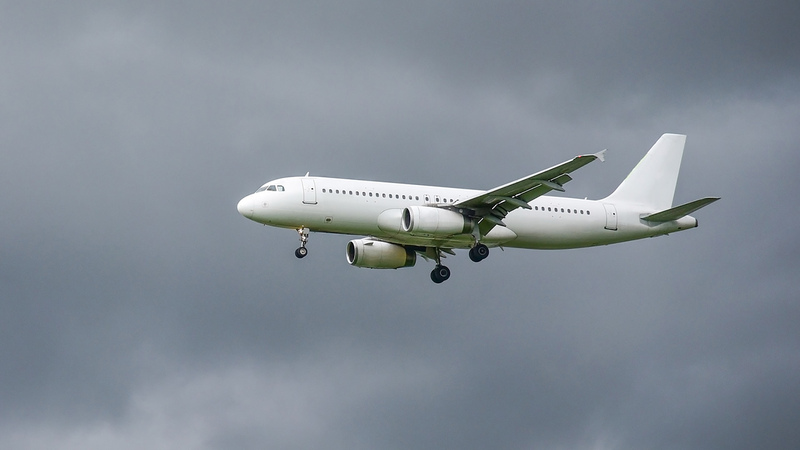 It was ultimately the pilot who decided to return to the gate after the plane had begun taxiing. "It doesn't look real but certainly I understand why poeple alerted the folks on the plane," said traveler Rovianne Leigh. "I think it's important to look objectively and try to figure things out before jumping to conclusions," said traveler Wendy Peters. In an emailed statement, Hawaiian Airlines tells ABC7 News, "In order to resume the flight and minimize the inconvenience to our guests, the teenager and the family were re-booked on a later flight while the incident was investigated." The other passengers went on to Hawaii following the nearly hour and a half delay. The Sheriff's Office says the mom and daughter will fly to Hawaii Saturday. "She has a good heart, she didn't want to inconvenience all those people so very remorseful," said Kelly. The Sheriff's Office spokesperson says this was a learning lesson for everyone involved. At the end of the day he says the system worked as it should with passengers playing their part in alerting the flight crew. For more recent stories on flight emergencies, visit this page.